Round beds have been around since 1968 and have lately become very trendy. As room shapes and décor become more customised, so do beds. However, the one thing people who buy these beds don’t consider is the bedding. How do you buy round bed sheets? Even though these beds are not as rare as you might think, the round bedding is rare. Many mainstream bedding manufacturers just don’t see the need to make round bedding because it does not sell as well as traditional bedding. Like with many products, the more rare the product is, the more it probably costs when you do find it. Bedding can range from cheap to super expensive anyway, but once you get into rare sizes the prices tend to get a bit out of hand. If you have spent any time on the Internet looking for new sheets or comforters for your round bed you know how difficult they are to find. The other problem with these round bed sheets is once you find them, there are no good colours to choose from. Most of these sheets come in white or ecru since those colours are basic and match almost any décor. Those colours can also get very boring after a while, especially if you prefer bright colours in your bedroom. Aletta Smit Homeware is the answer to your bedding needs. We have the ability to custom make any size round sheets. 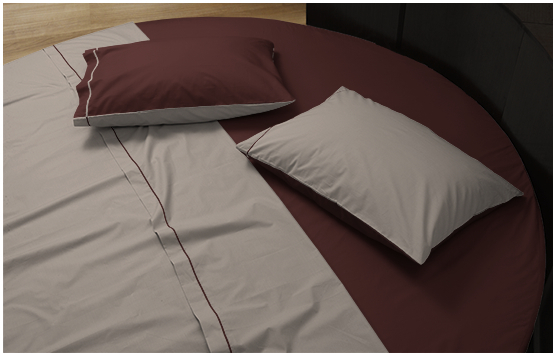 Generally, round bed sheets come in a standard measurement done by the diameter of the bed. Our company allows you to use the exact centimetre measurement in diameter and thickness of your bed. This makes a huge difference when it comes to round fitted sheets. The better a sheet fits, the more comfortable your bed will be. Our round bedding sets come in 100% cotton percale or 100% cotton sateen. Percale is a comfortable natural fibre that allows the body to breathe for a better night’s sleep. This fabric is 200 thread count for a smooth and durable linen. Sateen is a thick 300 thread count fabric that is made from cotton but looks and feels like satin. 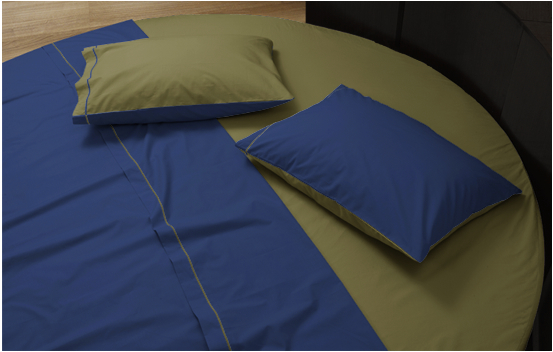 Our sets come with a custom sized fitted sheet, a rectangular top sheet, and 2 pillow cases in your choice of sizes. You are also welcome to order a custom sized round top sheet if you prefer. Aletta Smit Homeware has percale round sheets in 25 different colours and sateen sheets in 16 colours. You are sure to find the perfect colour to match your décor or comforter. 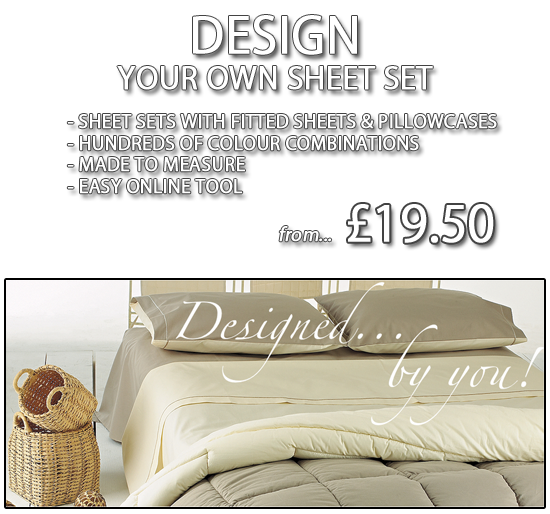 You can order round fitted sheets and pillowcases in one solid colour, or you can order a set in reversible colours for two great looks. 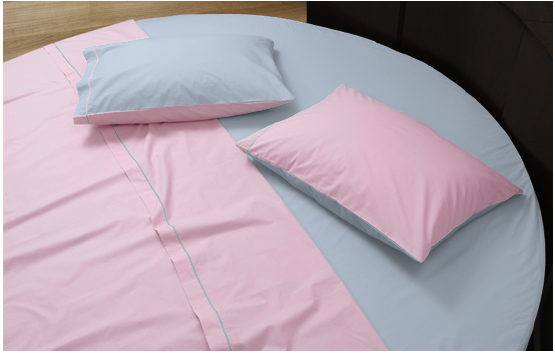 Our fitted sheets also have elastic all the way around the edging for the best fit possible.